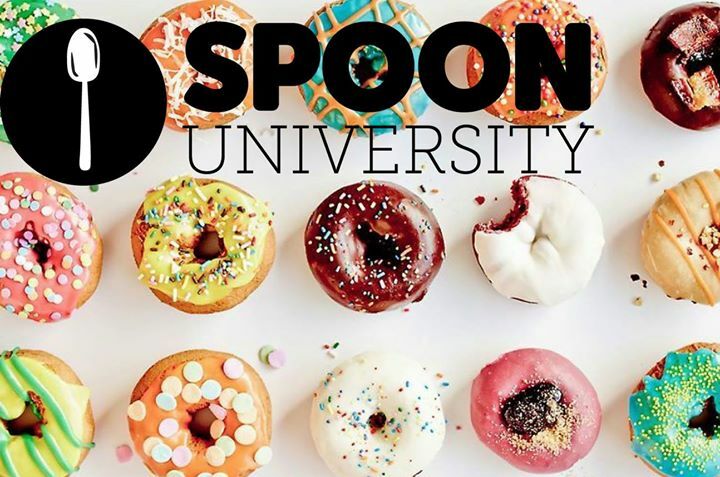 Spoon University, a student’s #1 stop for food information and self-described everyday food resource for young people. This organization is a national program that works through groups based at hundreds of college campuses. Each group works to bring the students at their school the hottest, local food news available. 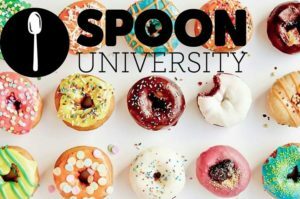 You may have come across articles from Spoon University without even realizing it, such as articles saying “the best 10 spots to eat around campus!” and many more ideas. Besides writing super interesting and relevant food articles, Spoon also holds local events for your campus. This week, the UCLA Spoon chapter is holding a campus wide study session with GrubHub providing local food. Spoon University is known for having articles that are not only interesting but that are also outside the box. Most recently, a a Denison University writer wrote about if filtering cheap vodka through a Brita would make it taste better. Not only do they have funny articles like this, they also post college-friendly recipes. One example is a recent article on how to make your own Starbucks hibiscus tea in your dorm room. There are so many great ideas to find on their website that can fit any occasion. Are there any website you Glamorous people find helpful? If so send them our way! Comment below your favorite food hacks or food places for us to try out! You never know, we will probably take you up on the suggestion and write an article on it! Blackface or a Fashion Trend?